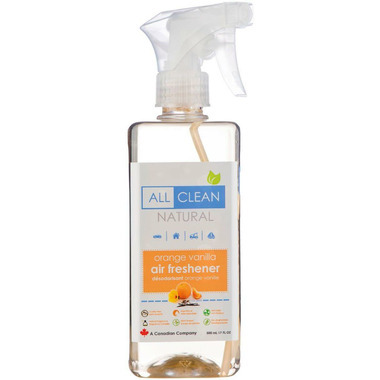 All Clean Natural Orange Vanilla Air Freshener scents rooms with essential oils not using any harsh chemicals. This air freshener has a fantastic scent but it does not last long at all. For the price, it is not worth it. I read through the ingredients and discovered I could make it for myself with a more concentrated scent for much less.